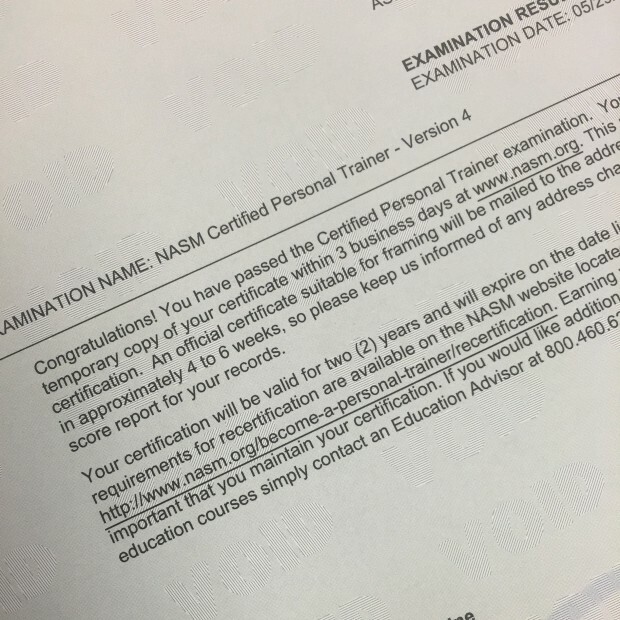 As you all know, I passed my NASM CPT exam last Friday. 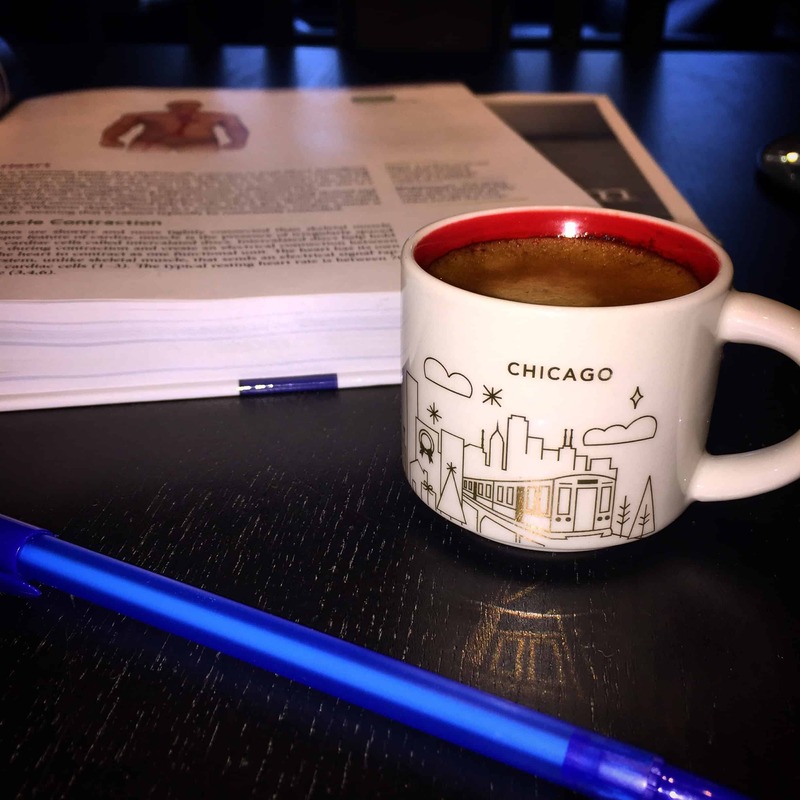 I promised you a review of the exam and I also want to explain more about why I chose NASM, my studying process, and what I intend to do with the certification now that it is official. Get prepared. This post is LONG. I did a lot of research on which program I wanted to use to become certified as a personal trainer. Like, a lot. I spent a lot of time googling and reading forums for people’s opinions. I spoke to actual trainers. Time and again I was referred to the National Academy of Sports Medicine. It was between the American Council on Exercise (ACE) and NASM, which from my research are the two most reputable certifications. 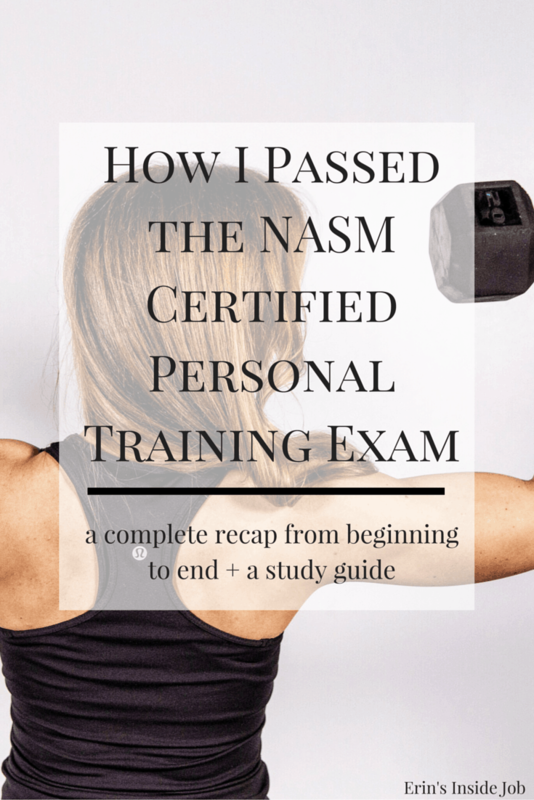 Since I wasn’t entirely sure what I was planning on doing once I got certified, I was also leaning towards NASM since I read that it was more widely accepted and highly encouraged at more places. There are 6 different packages to choose from, each increasing in price with the addition of different features. To only take the exam it will cost you $599. 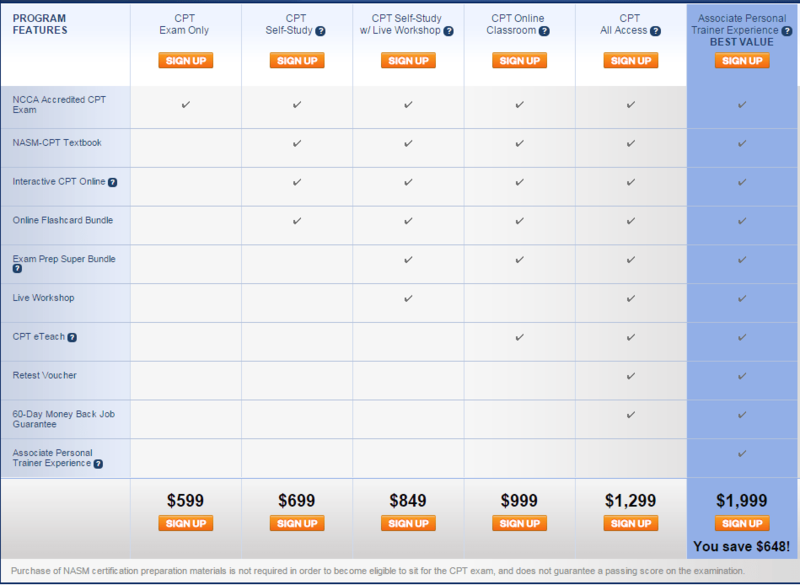 I chose the CPT Self-Study for $699 which included the exam, textbook, online course material, and online flashcards. I have spoken to some other trainers who found the $999 bundle very helpful because of the eTeach feature, but I was confident in my ability to prepare myself with the Self-Study. As you know if you have been reading, I wasn’t working at the time and used GoFundMe to help raise money from my family and friends to afford it all (thank you all again!!). If cost is an issue, make sure to read ALLLLL the way to the end for a bonus! Don’t forget that to be a CPT you must also have a current CPR/AED certification. 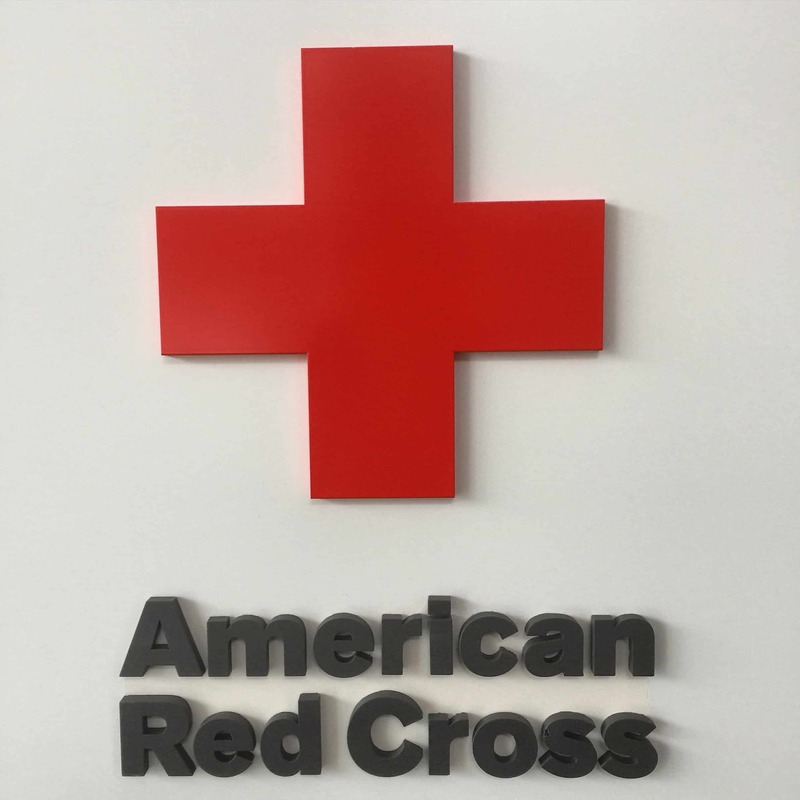 It cost me $90 through the Red Cross so keep that in mind when budgeting. There was an online portion and then a practical where I had to go to the Red Cross for a couple hours on the weekend. 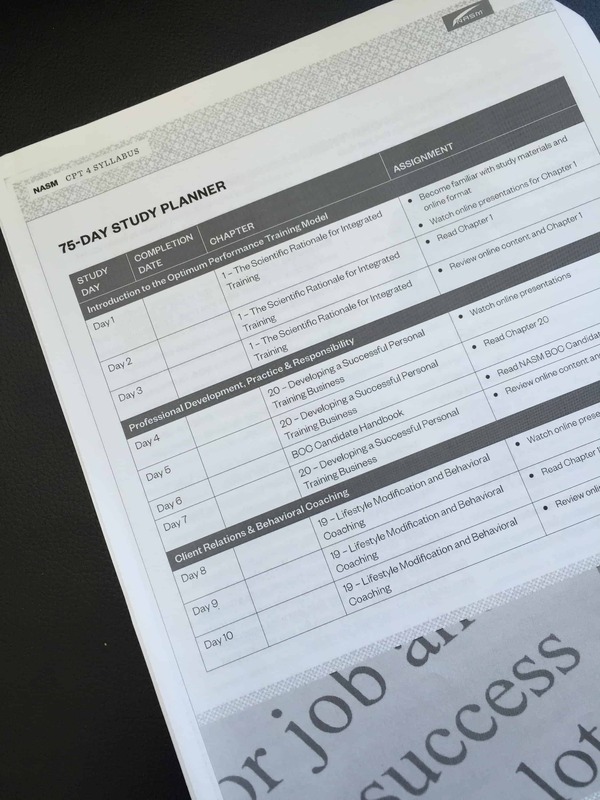 If you need a good amount of structure and can adhere to a syllabus, there is a 75-day study planner that breaks down what you should be learning and when in order to be prepared to take your exam within 75 days. I had fully intended to use this planner, but failed miserably somewhere around day 4. I referred to this guide constantly as it had a breakdown of each chapter and what was essential to know. I used the outline to structure my notes and make sure that I knew each bullet point well before remembering other details that I thought may be on the test. I know that flashcards work for a lot of people, but I hate them. If you are a flashcard person, by all means flash away. I actually convinced myself that I was a flashcard person, made this stack, then never used them. I am a notebook person. 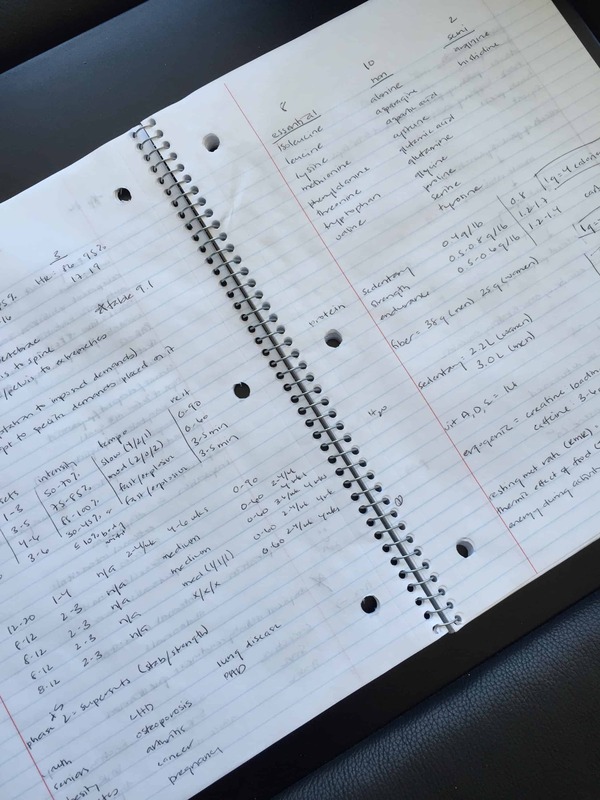 I have a very visual memory so I remember pictures, my notes, and where information is located on a page, whether that be in my notebook or the textbook itself. Around March (T-minus 3 months), I got more serious with my studying. I tried to get through a chapter a day (M-F) and take notes. Once I was done with the textbook, I would login to my online materials and watch the videos for each chapter for a more comprehensive understanding. There are also short “activities” which are basically mini-quizzes on the material you have just covered. I finished the textbook this way and then let it sit until a week before my scheduled exam. I don’t know that I would suggest only giving yourself a week to actually study, but a lot of the anatomy/physiology (ch 2-4), nutrition (ch 17), and chronic health conditions (ch 16) chapters were easier for me from having 3 years of pharmacy school under my belt (at least it’s good for something!). I did need to review some aspects, but it wasn’t completely foreign to me. I made the mistake of taking the online practice exam before I had even started studying. For some reason I thought that there would be different or new questions as I took it each time, but it is simply the same exam that you are allowed to take over and over. Since my brain remembers multiple choice answers really well, I took it once and then remembered which ones I got wrong when I went to take it again. I wrote down the sections I needed to study more, but I wish I had waited to take the test until after I had actually studied. For me, I had to focus a lot on program design and specific muscle function. I knew a lot of muscles from already being involved in fitness, but I needed to know them more comprehensively in this context. My exam was scheduled on a Friday, so I studied a couple hours each day leading up to the exam. I had Neil quiz me from my notes and although I kept telling him that I needed him to be my exercise model, I never forced him to contort into weird positions. Ok, this is the part I know you guys are actually interested in. The exam is multiple-choice, 120 questions, and you have 2 hours to finish it. Twenty of the questions are research questions, or trial questions that don’t actually count towards your final grade. They are included in the exam to see how they test for possible inclusion on future exams. You must score a 70% or higher on the exam to pass. The questions are scaled, however, which means it is not as simple as “I can miss 30 questions and still pass!” They are weighted differently based on the difficulty of the question, so don’t go into the exam with the mentality that “I can miss x questions.” Really try and learn the information. The entire examination is given on a computer and you are not allowed to use paper or pencil. There is no real math on it anyway, but it would have been nice to write out some of the tables I had memorized for quicker reference. You are able to skip questions that you are not sure about and return to them at the end of the test. I have always done this when taking tests; I answer the ones I am confident of and then go back to the ones where I am unsure. If I didn’t have the answer right away, I skipped it and returned later. I don’t want to scare anyone, but my exam was harder than I had expected. In truth, however, I’m not sure what I expected. I will say it was challenging, but as long as you are familiar with the information you should be fine. There were no questions where I said “what is this nonsense I have never seen this in my life!” If anything, there were a couple where I knew that I had purposefully not spent a lot of time on that section and that I would have the answer if I did. It took me a little over an hour to finish the exam. Once I was done (and had confirmed as such 3 different times), I expected either a giant CONGRATULATIONS (with fireworks) or a sad TRY AGAIN, DO NOT PASS GO, DO NOT COLLECT $200 notification. Instead, I got a 10-question survey from NASM about my testing experience followed by a notification that my exam was ended. I creeped back into the waiting room in apprehension where the proctor gave me my phone and ID back as well as my congratulatory letter. I just want to clarify that you don’t get fireworks on your screen if you pass. common distortion patterns (pronation distortion, lower crossed, upper crossed)! Remember there are different versions of the test so what I needed to know may not be the same for all exams. This is generally a pretty comprehensive list though. As I work on growing this blog, I need to focus on income that is available to me RIGHT NOW. I am able to use the space at Sweat to train clients by paying a small rental fee. I have also talked to some people about online training which I may look more into. I bought insurance yesterday which I was advised to do as soon as possible. I am also in talks with another trainer to sub-contract and take over some of his overflow clients. Ultimately I want to be able to train clients on a part time basis while also writing, teaching classes, and blogging. I sound like a crazy person. Need a trainer? I contacted NASM about a reward for all you fine folks who actually made it to the bottom of this post. I will say that I have only heard great things about their customer service and now that I have experienced it first hand, I wholeheartedly agree. Within 2 hours (on a Friday), I heard back from Jacob Houg who is happy to offer a special discount to anyone who contacts him and mentions either Erin’s Inside Job or Erin Bahadur. His email is Jacob.Houg@nasm.org and his direct line is 602-383-1271. If any of you are on the fence about signing up, this is the nudge you have been waiting for! Thank you all so much again for supporting me in this and please feel free to email me at erinsinsidejob@gmail.com if you have any more questions! Get all your questions answered with this @NASM Exam Review and discount!! Have you taken the exam? What was your experience? If you are a CPT, how have you used your certification? Informative post. 🙂 Congratulations on passing the NASM CPT! Nice round up lady! And Congrats again. I still wish I could have made you do burpees for every question missed. I told you it was 0 so you will be disappointed. Congrats! This brings back (bad) memories of studying for my CSCS from NSCA last summer. Sounds like the exam format is very similar. Haha oh no I hope I didn’t retraumatize you! Hmm, I have thought about getting a CPT certification, I just hate to throw money at something I’m not sure if I’ll use. Luckily with my biology degrees I already know a lot about anatomy and even biochemistry, even though I’d have to brush up. 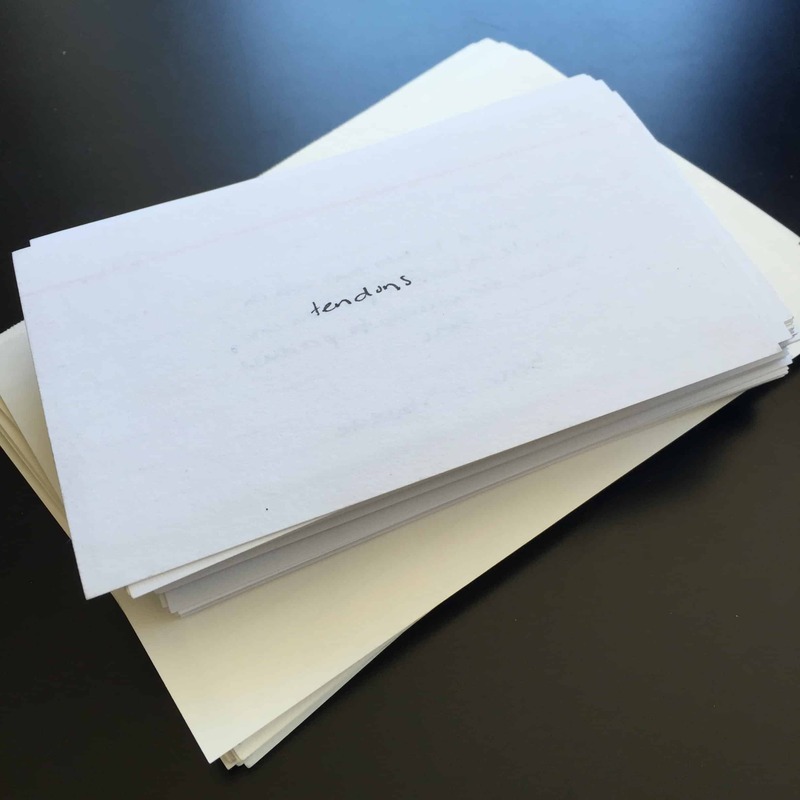 Hmm, I have some thinking to do… 🙂 Thank you so much for your honest and thoughtful recap of your experience studying for the test! Beth @ Running with the Sunrise recently posted…Do You Make These 4 Summer Running Mistakes? Congratulations! I would love to get certified in the future so thank you for all the great info! Of course! Thanks for reading and let me know if I can help at all! congrats again!!!! this is a great recap and look into how the process and test is set up. it’s similar to the real estate exam i just took with regards to the exam process and testing setup. what a great job, that is so awesome and i’m excited for you and your lucky clients!!! Yay! Me too! Congrats again on passing your exam! Thank you thank you thank youuuuu! PS “I don’t want to scare anyone but it was actually really hard” TOTALLY directed at me. And THANK YOU again for that hahaha. I’m feeling back on track with studying so wish me luck! Haha you’re right. Another person had made a similar comment too and I really don’t want to scare anyone! Let me know when/if you want help! I really want fireworks!! Thanks for the info Erin. Thanks for the breakdown! Let me know if you’re interested more in the online training thing! Oh yeah I am. I’m just learning about what everyone is doing with their certification so I would love any insights you have! I usually study like you. I need to take notes and I often use colourful pens like little schoolgirls 😀 But I remember more if I see colours. Sounds like you are doing really well! I like the mix of classes and one on one, but now I actually have to get some of those! Im so proud of you for passing the exam 🙂 yay and welcome to da clubbbb. I think it will be great for you as a part time job; at least initially. I train full time and it took a lot of patience and hard work to get there, since it’s a 100% commission job (at least here). Thanks for all the great information! I’ve been thinking about this for awhile now, and it’s great to have so many details! You’re welcome! Thanks for reading and I hope it helped! Thanks for sharing. I have been on the fence about this for a while. I am really considering taking the plunge in August or September. Shalama recently posted…Is it time for your next fitting? Do it!! Make sure to take advantage of that discount too and let me know if I can be of any more help! Thank you so much for the tips! I have had my materials for over 3 months already and have skimmed. I gotta admit it is a difficult read for me. I am learning a lot, but it doesn’t seem to be sticking. I would love a guide! Did you make it or download and print it? I just took notes on the main points that I had listed so it wasn’t really a formal study guide. I just wanted to let everyone know what my experience was bc I think I studied way more than I needed to. Congratulations on passing (I know this is super belated, but still), and thanks for breaking it down + passing such helpful tips along to everyone else! :]! Haha thank you! I hope they help! A lot of people say you can have paper and pencil…. what is the real verdict here? Hi Erin! So to clarify, besides the final “congratulations” to let you know you passed the exam, do you also get a letter grade or percentage as part of your final results? The company I work for may provide compensation for a self study personal certificate, but one of the requirements is that there is a final grade of some sort, and not just a pass/fail result. Of course! Let me know if you have any other questions. Good luck! Hi Erin! Great post! I had a question regarding where you took your exam and if you were in a room by yourself? I have severe test anxiety and am very nervous when it comes to the exam part, just signed up today! Mine was done at a testing center so there were several computers in a room, but each was separated by a little cubicle so you couldn’t see anyone around you. The test doesn’t tell you if you passed or failed until you leave the room and the instructor gets a print out. I’m not sure if all testing centers are set up the same way, but that was my experience. You’ll do great!! I know this is an oldest post… does the discount still apply if I contact Michael? It does! I think someone else took his position but give that number a call and you’ll still get it – someone else just did recently! Hello! 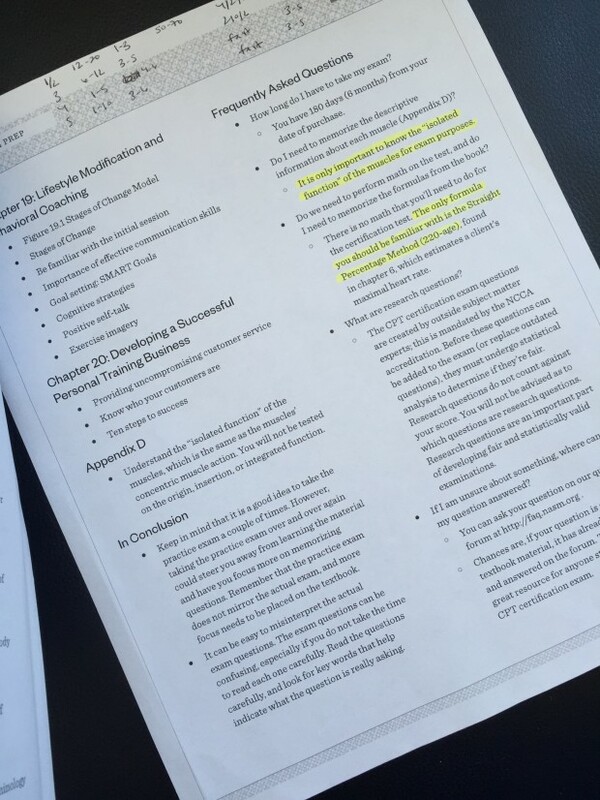 I realize this is an old post, but I am in module 3 of the NASM PT Cert. Thank you for taking the time to write this post. I have been a certified health and wellness coach for a few years and I am wanting to round out my service offerings. My question is…are you seeing more success working with clients one on one on your own or do you partner with a gym/fitness center? Thanks for any insight you can provide me. In my experience, I enjoy being out on my own more because I have more flexibility and you make substantially more than working for a health club/gym. That being said, it’s harder to get clients and can take at least a year to build up a substantial client base. You may be better off since you already have health/wellness clients which you can likely roll into the training part of the business however. I guess the short answer is being on your own gives more money but takes more work off the break; I hope that helps! Hi there! Just starting the program and am trying to not be overwhelmed by all the the jargon! 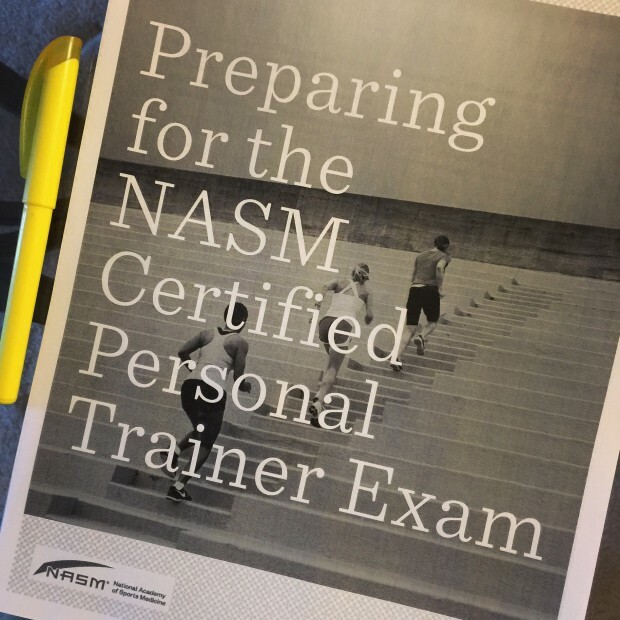 i was curious as to where you found the “Preparing for the NASM Certified Personal Trainer Exam” guide? I cant seem to locate it. i suppose i could just contact NASM but i happened to find your blog while searching for helpful tips on passing the exam. You know, I’ve gotten a couple questions about this as well and I’m wondering if it might be something that they’ve taken out of their online materials. 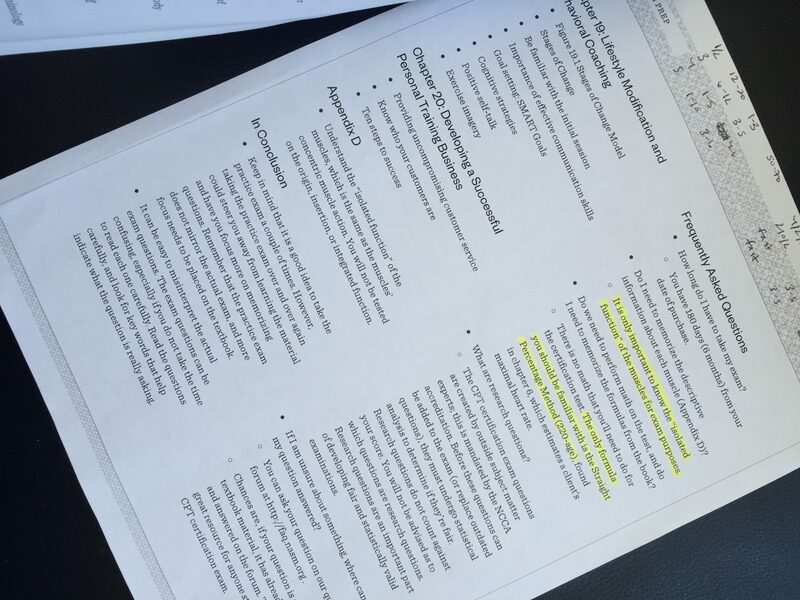 It was just one of the documents that were included in the documents provided for the course. I might shoot them an email to see if they still have it available? I’m sorry if it’s not available anymore. I don’t think I still have it or else I would send it along! I found this post about 4 months ago when I started studying for my NASM CPT exam and it helped alot. I saved it in my bookmarks and came back to it every week to make sure I was learning everything I needed to know. Two weeks ago I took the exam and passed!! Thank you for providing such an informative post on preparing for the exam. I am working on a blog post about my experience and I would like to include a link back to this post if that’s ok with you. hi, Is nasm cpt book main reference for exam? I could not have stumbled across this at a better time! I’m about 20 days away from taking my NASM certification exam and I’m freaking out. I’m so far behind and haven’t even made it through the text once! I’ve heard some stuff you tend to stress over isn’t on the exam, but since I’m stressing about it all, this is amazing!! Thank you so much for sharing your experience!! I’m so glad kelly! You’ll do great!! There are some really negative reviews out there about NASM…that they are only interested in money and not customers once you have paid for the course. One review in particular said they were certified a number of years ago and they were better, but when trying to re-certify they found the folks to be little more than salespeople and not helpful. Your post was positive, but from 4 years ago. 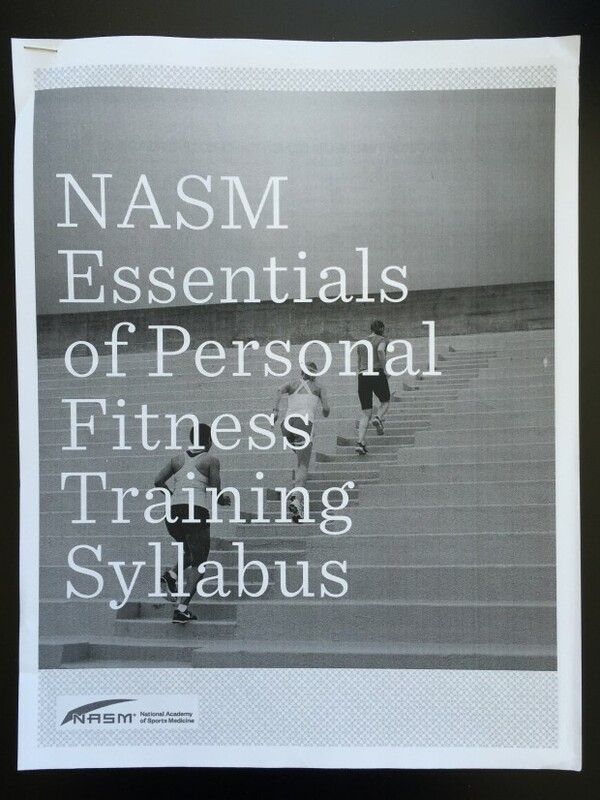 Do you still think NASM is best certification for personal training? Thanks!! I do still think they are a good company and I’ve had good experiences with them since publishing this post. I also think that ACE and ACSM are good as well. For me, I don’t have a ton of interaction with them unless I decide to take supplemental courses. I like the way the material is laid out and once getting certified it’s really about learning how to come into your own as a trainer – something that has very little to do w the company who certifies you. If I can help w any other questions please let me know! This post was super helpful, thanks so much! I”m VERY interested in getting the “preparing for the NASM certified personal trainer exam” pamphlet that breaks everything down. How/where did you get it?? Thank you for this post!! I am studying now and I have scheduled my test for October… which is so far away but it is also like, SO SOON!! haha 🙂 I appreciate you putting the list of things to study together! Of course! I hope it helps!! And good luck you got this! Thanks for the input! I just passed my NASM CPT too and agree with the exam taking tips. Leading up the exam I noted the questions I was missing on the practice exams and going back and re-reading the sections. It worked out really well and pretty soon I was getting over 90% on all the practice exams. I also found a nifty audio study guide on the Fitness Mentors site that I wish I would have found much sooner but I still passed! First of all CONGRATS *fireworks*. Could you pease explain the insurance part? To cover yourself for liability, trainers are required to have insurance in case clients get injured or you’re sued for some reason. This may be something that a larger gym will get for you if you’re working for them, but if you operate as a solo trainer, you should cover yourself with insurance. Great blog. I took my test today and passed. yayyyy. I am a software engineer and have no background on kinesiology and Exercise Science. The exam was really hard and glad I cleared it and so proud of myself. Like you, I was expecting some kind of message appearing in the monitor after the exam, but nothing popped up. Those 10 minutes of waiting was really hard and to be honest I have never been this nervous even for my IT certifications. Now, coming to the million dollar question of what’s next? I am planning to shift my career, full time towards fitness sometime next year and getting the NASM CPT certification is my first step. I see that you also went through the similar journey of moving from a different job to fitness, so any inputs you provide would help me to transition smoothly. Thanks for all you do. Hi, I’m getting my NASM self study soon and wanted to know if you had to to LLC to work with clients one on one instead of signing up with a gym? No you can still operate as a sole proprietorship, just make sure to have them sign the appropriate documents for liability and stuff (you can find generic ones on the NASM site). Hope this helps! Hey! I know ACE and ACSM are the other two big ones that people seem to go with. I think they’re all pretty much treated the same, so it’s really just a matter of preference. Do give him a call if you decide to go w NASM; he should still honor the discount!